Welcome to the Homepage for the Ilmarian Inc, Ilmarian Imperium and Lewis Stockton's Personal Website. Here you will find the many divisions and members of the Ilmarian Imperium. So what is the Ilmarian Imperium? 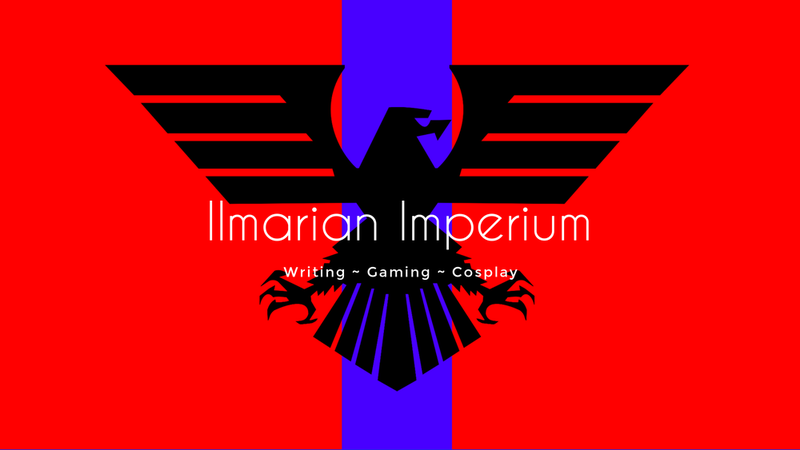 The Ilmarian Imperium is a fictional Empire in the Novel Series "The Way the Stars Fall" and "The Man Who Would be King" world, written by Lewis Stockton. The Ilmarian Imperium here is the name of an overarching group of divisions. The Ilmarian Inc is the 'official' name for the group and includes the Publishing Division, which concerns anything to do with writing fictions and non-fiction works, the Game Studio Division, which concerns any Game Development, The Youtube Division which includes anything to do with Youtube and also the homepages of members of the Ilmarian Imperium, such as Deanna 'Nexanda' Paice. The Imperium also has a discord channel, if you wish to join; please contact the Lewis Stockton via any of the social media methods. Please subscribe to my Patreon for more content paid for by you and made just for you!!! If you decide you want to donate but not purchase anything! You can do so at the link below! Come support me on Ko-Fi instead! If you don’t like any of the others! Two years of NaNoWriMo and I have finished them both! Officially winning 2017 and 2018. For the first year I wrote “The Man Who Would Be King” A story based on a tabletop campaign and for the second year I have finished and worked on another book in the "Fera World" Universe, the same as The Man Who Would Be King. It is also based on an initial Tabletop RPG game based in my world, just like The Man Who Would Be King. Set after the events in The Man Who Would Be King, but not a sequel; that title goes to "The Dragon Who Should Be Queen." Another Novel I will work on once The Man Who Would Be King is finished. Below is the WIP Blurb for" “The Man Who Would Be King” & “The Ten Rings”. Andreas Vandersryke is a simple man with a shaded past. Nexanda Tora is a Dragonborn youngling who has escaped her horrible past. The who bumped into each other and now travel together. A vast boom in technology has shifted the Ilmarian Imperium into the Flintlock Era, pushing forward with Cannon and rifle, the age of Magic was thought to be dying with the rise of the Gunslingers. Using gunpowder as their fuel, Gunslingers are the rising stars in magic. Able to use their magical powers to control explosions, musket balls mid-flight and gunpowder. Following Andreas and Nexanda as they uncover the dangerous and dark "Hand of Orisil", learn about the history of Nexanda's lost heritage and uncover whom Andreas Vandersryke really is and why he is out to kill the King.